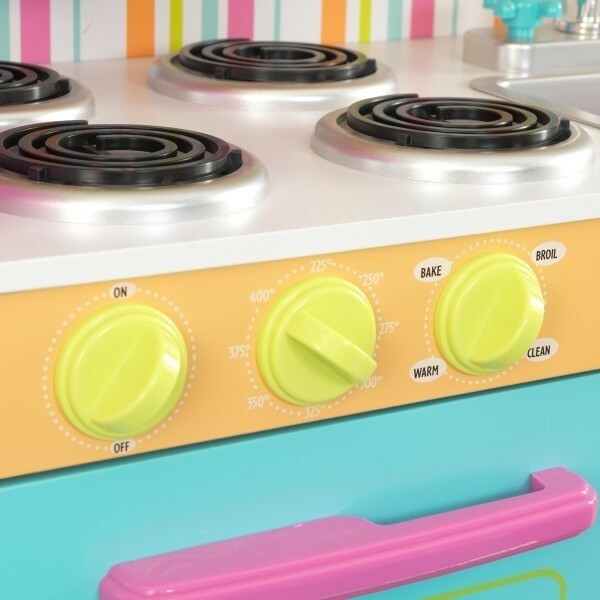 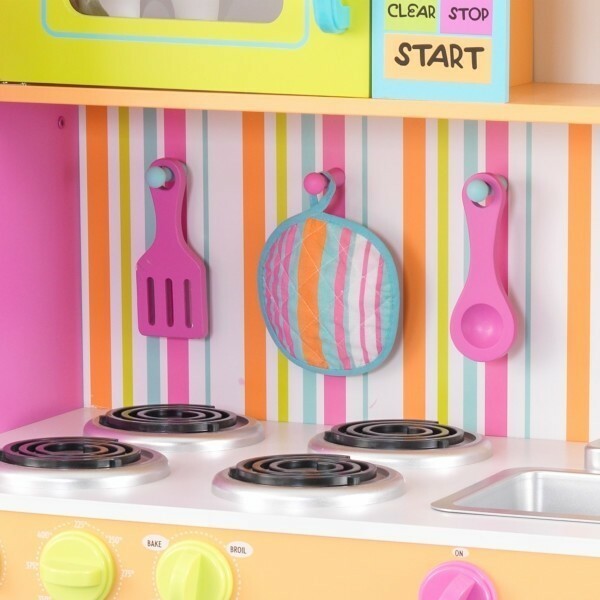 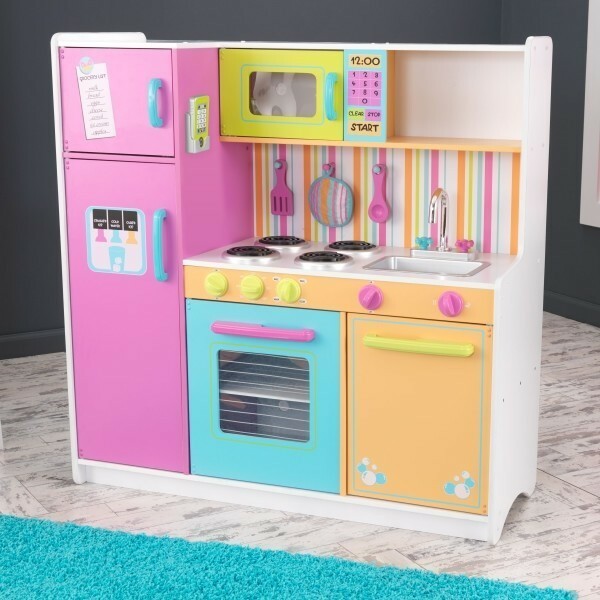 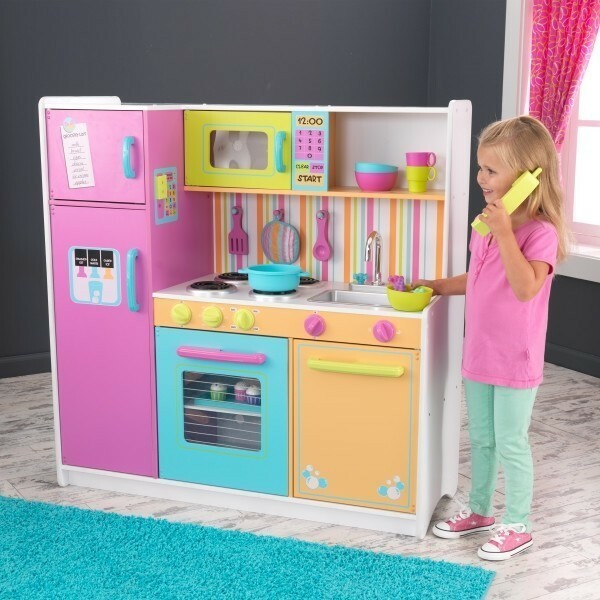 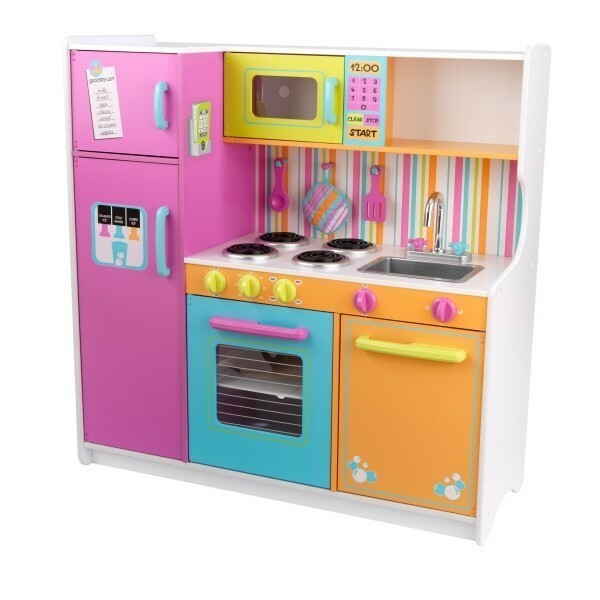 Kids will feel just like Mom and Dad when they cook up fun with the Deluxe Big and Bright Kitchen from Kidkraft (53100). 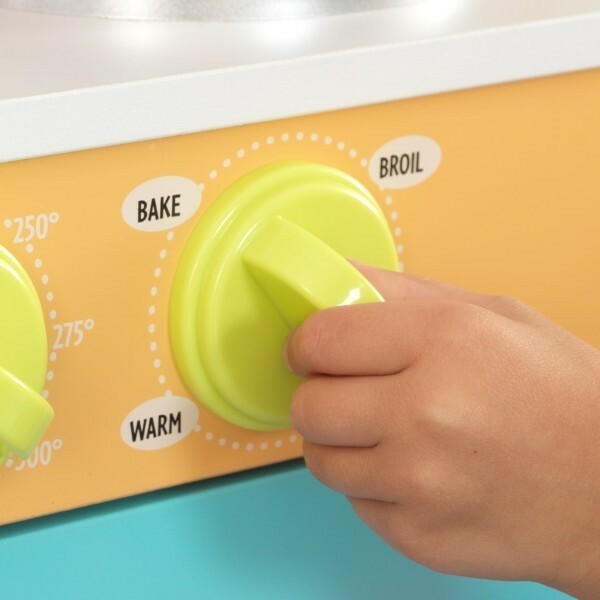 Interactive features - like turning oven knobs and appliance doors that really open - keep kids exploring and engaged. 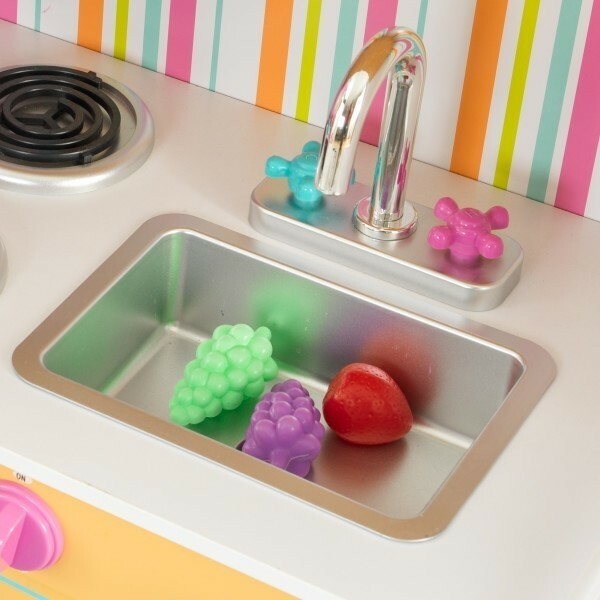 Parents love the removable, easy-clean sink and durable design of this imaginative playset. 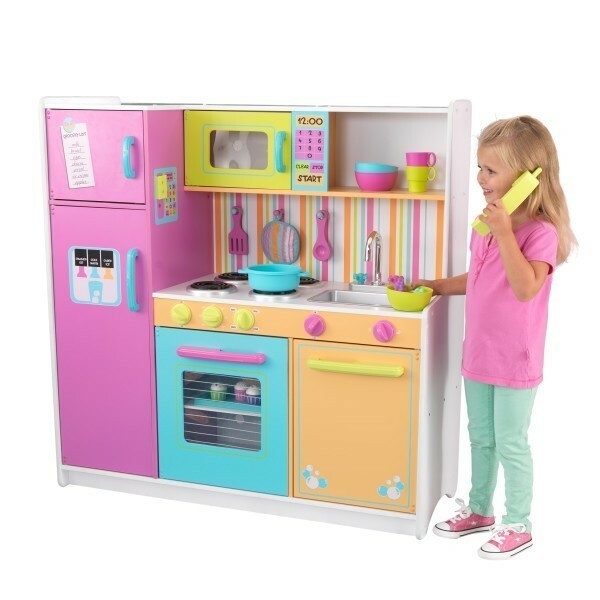 Fridge-freezer, oven and microwave, all with open and close doors. 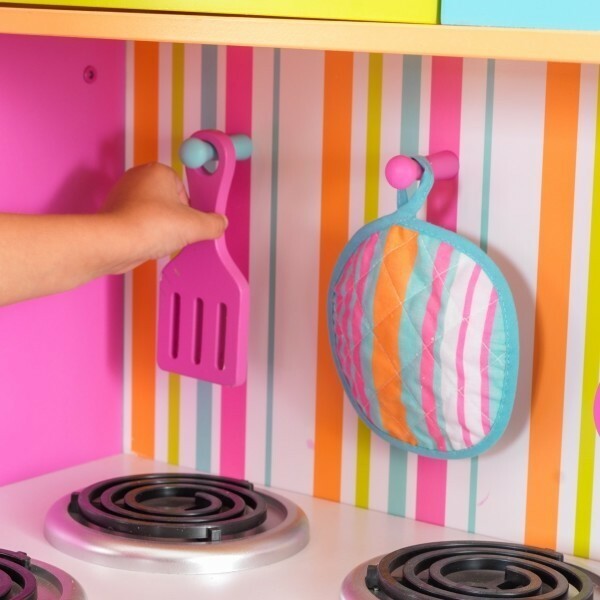 Convenient storage space above and below the sink. 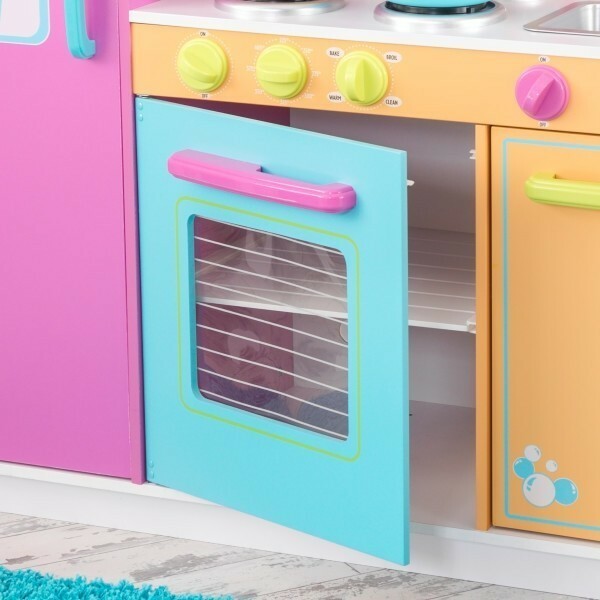 Large enough for different children to play at the same time.